Five executives with a former leading manufacturer of U.S. military boots have been sentenced in federal court for saying the boots were made in Tennessee when they were actually produced in China. 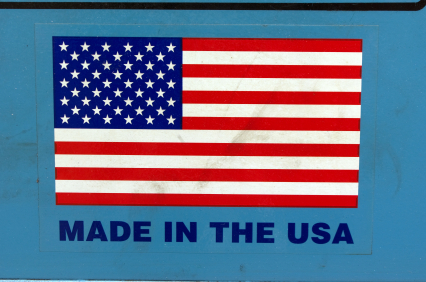 According to an indictment filed in U.S. District Court, the actual Chinese manufacturer of the boots was told to include “USA” on the label of Wellco boot uppers that were then shipped to the U.S. The “Made in China” tags were removed, the indictment says. Soles were affixed to the boots at Wellco’s plant in Morristown, Tennessee, and elsewhere, according to the document. From 2006 through 2012, the U.S. Department of Defense paid at least $138 million to Wellco for military footwear, according to the indictment. 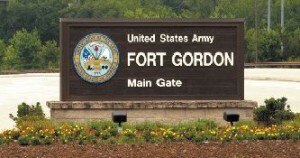 Two men who took part in a bid-rigging and bribery scheme involving $54 million in contracts at Fort Gordon received the maximum prison terms of five years last Wednesday despite the recommendation from the U.S. Attorney’s office for a reduction in their sentence. Calvin Lawyer, 60, and Dwayne O. Fulton, 59, admitted in November to their roles in the conspiracy that ran from 2008, when Lawyer retired as a full colonel and started his own business called Communications Research Engineering and Consultant Group with the goal of obtaining government contracts. But Lawyer didn’t need to compete with other contractors because he paid bribes to ensure he got no-bid contracts from his former subordinate Col. Anthony Roper. After learning they were under investigation in 2016, Lawyer, Roper and his wife, Audra Roper, and Fulton, who worked for the large defense contractor Kratos Defense & Security Solutions inc., fabricated documents to try to cover their tracks. As part of a new emphasis on procurement fraud enforcement within the Southern District of Georgia, the U.S. Attorney’s Office for the Southern District of Georgia has announced the results of a series of recent procurement fraud prosecutions. These prosecutions and civil settlements with the named individuals and entities, as well as others, stemmed from a wide variety of fraudulent conduct, including bribery of public officials, illegal kickbacks, illegal arrangements between large contracting companies and certified small or 8(a) businesses acting as “front” companies, and billing for services not rendered. Each of the individuals who has pled guilty awaits sentencing. The total financial recovery for the United States thus far has exceeded $7.4 million. Several of these investigations remain ongoing. 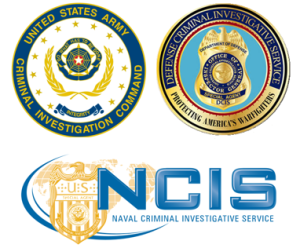 The joint strike force that led to these convictions and settlements involved agents, investigators, and auditors from the Department of Justice, Defense Criminal Investigative Service, Army Criminal Investigation Command (Major Procurement Fraud Unit), Naval Criminal Investigative Service, the Small Business Administration Office of Inspector General. Significant and critical assistance was also provided by civilian and military personnel from the Army, Navy, and Air Force stationed at affected military installations. “The American public expects the Department of Defense (DoD) to spend limited taxpayer funds efficiently and economically. Bribery and other corrupt behavior by public officials and defense contractors diverts and wastes precious dollars intended to provide critical products and services for our Warfighters. These results demonstrate the effectiveness of investigative efforts by the Defense Criminal Investigative Service to protect the integrity of all DoD programs,” said Special Agent in Charge John F. Khin, Southeast Field Office. “Our partnership with the joint procurement fraud strike force ensures fair and open competition for U.S. Government contracts which support the training and readiness of Marine Corps personnel,” said H. Andrew Goodridge, Special Agent in Charge, NCIS Carolinas Field Office. The United States was represented by Assistant United States Attorneys Brian T. Rafferty, Shannon H. Statkus, J. Thomas Clarkson, Matthew A. Josephson, and Jonathan A. Porter. Any claims resolved by the civil settlement agreements are allegations only and there has been no determination of liability. Each of the civil settlements resolved potential liability under the False Claims Act. Under the False Claims Act, whistleblowers can be entitled to a portion of the amount recovered by the United States. The United States Attorney’s Office also reminds contractors that businesses and individuals that self-disclose potential violations can be eligible for significantly reduced penalties. If you have any information regarding potential procurement fraud, please contact Assistant United States Attorney J. Thomas Clarkson at (912) 201-2601. Stamatios “Tom” Kousisis of Pennsylvania and Emanouel “Manny” Frangos of Ohio, along with Alpha Painting & Construction Co., Inc. of Baltimore, Maryland, and Liberty Maintenance, Inc. of Youngstown, Ohio were charged last week with conspiracy to commit wire fraud, wire fraud, and making false statements in a scheme involving the U.S. Dept. of Transportation’s Disadvantaged Business Program (DBE) in connection with Pennsylvania’s federally-funded Girard Point Bridge project and the federally-funded 30th Street Station. Kousisis is the Project Manager of Alpha and Frangos is an owner of Liberty Maintenance, which are both bridge painting contractors, although neither is a certified DBE in Pennsylvania. The alleged scheme involved Alpha-Liberty JV, a joint venture between defendants Liberty Maintenance and Alpha Painting, and Markias, Inc., a now-defunct certified DBE. In September 2009, PENNDOT awarded a contract for approximately $70.3M to a triventure that included the Alpha-Liberty JV to perform structural steel painting and repairs, and concrete repairs, on the Girard Point Bridge in Philadelphia. As part of that award, the triventure made a commitment to PENNDOT to subcontract approximately $4.7M in DBE work to Markias to supply materials to be used in performing the contract. Under governing law, the Alpha-Liberty joint venture was only entitled to credit for work performed by a DBE that was performing a commercially useful function. Instead, according to the indictment, the Alpha-Liberty JV and Kousisis ordered materials needed for their work on the Girard Point Project directly from suppliers that were not DBEs, and used Markias as a mere pass-through or front, to make it falsely appear that disadvantaged business enterprise requirements had been met on the Girard Point Project when those requirements had in fact not been met. Markias did not perform a commercially useful function. In December 2010, PENNDOT awarded a contract for approximately $50.8 million to a joint venture of two companies referred to in the indictment as Company C and Company F, to perform structural steel painting and repairs and roadway reconstruction beneath and around AMTRAK’s 30th Street Train Station in Philadelphia. Company C and Company F entered into a subcontract, for approximately $15 million, for the Alpha-Liberty JV to perform the structural steel painting beneath 30th Street Station. As part of the bid process, Company C and Company F committed to subcontract approximately $1.7M in Disadvantaged Business work to Markias to supply paint materials for the 30th Street Project. Instead, according to the indictment, the Alpha-Liberty JV and Kousisis ordered materials needed for their work on the 30th Station Project directly from suppliers that were not DBEs, and used Markias as a mere pass-through or front, to make it falsely appear that the DBE requirements had been met on the 30th Station Project when those requirements had in fact not been met. Markias did not perform a commercially useful function. In addition, the indictment alleges that the Alpha-Liberty JV and Kousisis, and Frangos ordered materials to be delivered to and used on out-of-state projects while directing that the purchase invoices be sent to Markias in New Jersey. Then, allegedly at the direction of Alpha-Liberty JV and Kousisis, and Frangos, Markias issued invoices that made it falsely appear that those supplies had been used on the Girard Point and 30th Street Projects in Pennsylvania. Alpha-Liberty JV and Kousisis, and Frangos allegedly caused Company C to falsely report to PENNDOT that the supplies delivered to and used on the out-of-state projects qualified for DBE credit in Pennsylvania when those purchases did not so qualify. 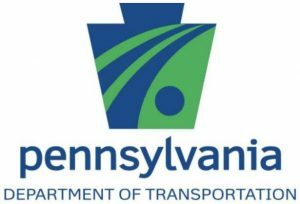 PENNDOT awarded approximately $3.26 million in DBE credit to for the Girard Point Project and approximately $1.275 million in DBE credit for the 30th Street Station Project based on DBE work supposedly performed by a disadvantaged business (Markias). Alpha-Liberty JV paid Markias 2.25% of the face value of the invoices processed by Markias allegedly to act as a pass-through. If convicted the defendants face a statutory maximum sentence of 170 years in prison, a possible fine, supervised release, and a $1,600 special assessment. The case was investigated by the U.S. Department of Transportation Office of Inspector General, the FBI, the Department of Labor Office of Inspector General, and Amtrak Office of Inspector General. According to an April 5th statement released by the Office of the U.S. Attorney for the Northern District of Georgia, Mitzi Bickers has been arraigned on 11 federal charges including conspiring to commit bribery, wire fraud, money-laundering, federal obstruction and tax fraud. Bickers was indicted by a federal grand jury on March 27, 2018. As the City of Atlanta’s Director of Human Services and after leaving employment with the city, Bickers allegedly conspired with contractors Elvin R. Mitchell, Jr. and Charles P. Richards, Jr. to accept bribe payments for herself and other public officials in exchange for the her agreement to obtain city contracts for Mitchell’s and Richards’ companies. Both Mitchell and Richards have pleaded guilty to paying bribes to Bickers and are currently serving federal prison sentences for their crimes. 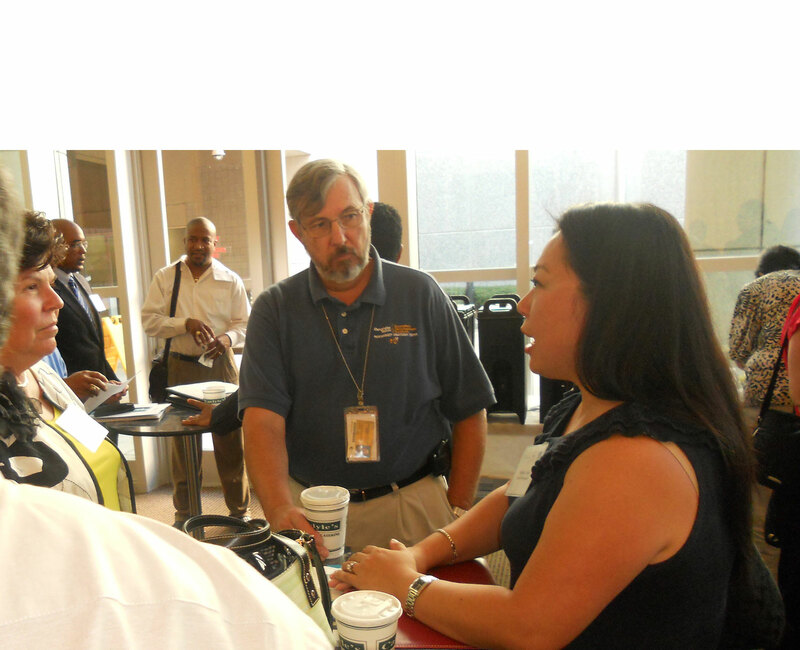 In 2009, Bickers worked on the mayoral campaign and began working for the City of Atlanta after the election. From February 2010 to May 22, 2013, Bickers served as the City of Atlanta’s Director of Human Services. Beginning in 2010, Mitchell and Richards agreed to pay bribes to Bickers to secure profitable City of Atlanta contracts for their businesses. At times, the bribe payments allegedly were referred to as “up-front money.” In reality, Mitchell and Richards often paid Bickers when their companies actually received City of Atlanta contract work. In exchange for the bribe payments, Bickers promised to represent Mitchell, Richards and their companies on matters relating to City of Atlanta contracting, even though she was a high-level city employee at the time. Bickers also allegedly provided Mitchell and Richards with sensitive contracting information during the critical time when they were bidding on city contracts. Between 2010 and 2013, Mitchell’s and Richard’s companies received multi-million dollar contracts with the city for snow removal, sidewalk repair and maintenance, and bridge reconstruction. In effort to conceal her relationship with Mitchell and Richards, Bickers allegedly filed numerous false City of Atlanta Financial Disclosure Forms. For example, in 2011, Bickers swore under penalty of perjury that she had no financial relationships with any outside businesses, even though Mitchell’s and Richards’ companies paid her over $650,000 in that year. She used much of this money to purchase a $775,000 lakefront home in Jonesboro, Georgia, making a down payment of over a half million dollars. In that same year, Bickers also allegedly claimed on her taxes that she made only $57,896 as a city employee, resulting in a $3,924 tax refund from the IRS. In 2013, Bickers’ financial ties to the Pirouette Companies came to light and Bickers resigned her position with the City of Atlanta. After her resignation, Bickers, Mitchell, and Richards allegedly continued the bribery scheme. For example, Bickers helped Mitchell secure a multi-million dollar contract for snow and debris removal work after a snowstorm locked down Atlanta in 2014. In turn, Mitchell paid Bickers and companies associated with her hundreds of thousands of dollars in bribes. Bickers spent the proceeds of the bribery at stores like Gucci and on expensive vacations, home renovations, four Yamaha WaveRunners, a sports utility vehicle and an ATV. Bickers is also charged with money laundering for purchasing an SUV and four WaveRunners with bribery proceeds from an account held by the Bickers Group, which was her political consulting company. Ultimately, between 2010 and 2015, Mitchell and Richards allegedly paid Bickers and companies associated with her over $2 million in an attempt get City of Atlanta contracts through bribery. In this same period, the City of Atlanta paid Mitchell’s and Richards’ businesses approximately $17 million for the government contracts they secured. In September 2015, Mitchell began cooperating with FBI’s investigation into corruption at City Hall. On September 11, 2015 at approximately 5:30 a.m., Shandarrick Barnes threw a concrete block reading “ER, keep your mouth shut!” through a plate glass window in Mitchell’s home. Bickers is alleged to have played a role in this attempt to obstruct the federal investigation. Barnes will be sentenced by District Court Judge Steven C. Jones on April 9, 2018. Mitzi Bickers, 51, of Atlanta, Georgia, was arraigned before U.S. Magistrate Judge Russell G. Vineyard. Members of the public are reminded that the indictment only contains charges. The defendant is presumed innocent of the charges and it will be the government’s burden to prove the defendant’s guilt beyond a reasonable doubt at trial. This case is being investigated by the FBI and Internal Revenue Service Criminal Investigation. First Assistant U.S. Attorney Kurt R. Erskine and Assistant U.S. Attorney Jeffrey W. Davis are prosecuting the case. A federal grand jury returned a twenty-two count indictment on April 3rd, charging three defendants with a 12-year fraud and money laundering scheme involving over $200 million in government-funded contracts intended to benefit small businesses. The indictment names two individuals, Brian L. Ganos and Mark F. Spindler, both of Wisconsin, and the business Sonag Company, Inc. as defendants. In a related case, Nicholas Rivecca, Sr., also of Wisconsin, agreed to plead guilty to conspiring to defraud the United States. The indicted defendants are charged with a conspiracy to commit mail fraud and wire fraud. The alleged conspiracy involves operating construction companies with straw owners who qualified as a disadvantaged individual or as a service-disabled veteran, but who did not actually control the companies. The conspirators then fraudulently obtained small business program certifications to win government-funded contracts to which they were not entitled. 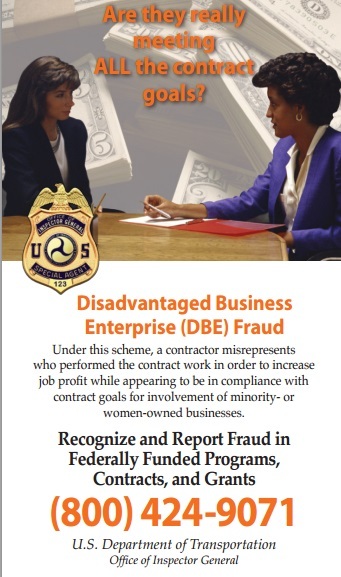 Nuvo Construction Company, Inc., was misrepresented in order to obtain certifications as a Small Disadvantaged Business from the U.S. Small Business Administration (SBA) and as a Disadvantaged Business Enterprise (DBE) from Milwaukee County. However, the disadvantaged owner worked full-time for a different entity in Minnesota and did not actually control Nuvo. C3T, Inc. was misrepresented to be majority owned and controlled by another individual to obtain verification as a Service-Disabled Veteran-Owned Small Business. In reality, for long stretches, the “owner” had virtually no involvement in C3T. Pagasa Construction Company, Inc. was misrepresented to be majority owned and controlled by a third disadvantaged individual in order to obtain certification as a Small Disadvantaged Business from the SBA. In reality, the owner relied on the assistance of conspirators to form Pagasa. The federal indictment alleges that the defendants used their certifications to obtain over $200 million in federal, state, and local contract payments. These included federal construction contracts that were set aside for Small Disadvantaged Businesses or Service-Disabled Veteran-Owned Small Businesses. The indictment also alleges that the scheme included using Nuvo’s DBE certification to win ready-mix concrete contracts based on the false representation that Nuvo provided ready-mix concrete independently when, in truth, Nuvo’s concrete operations depended heavily on Sonag Ready Mix. As a part owner of Sonag Ready Mix, Nicholas Rivecca, Sr. agreed to plead guilty to that portion of the scheme. The government alleges that the conspirators engaged in efforts to conceal the scheme and obstruct investigations into the matter; when interviewed, Ganos and Spindler each gave materially false statements to federal agents. The indictment also alleges that Ganos conspired with Sonag Company, Inc. and others to launder proceeds of the fraud scheme in order to disguise and conceal the nature, source, and location of those fraud proceeds. As a part of that conspiracy, Ganos is alleged to have transferred fraud proceeds from accounts of Nuvo and C3T to accounts that Ganos controlled. The indictment further charged Ganos with three counts of concealment money laundering transactions, one of which involved the purchase of a Corvette with proceeds of the fraud scheme, and seven counts of spending money laundering transactions. The maximum penalties for each of the wire and mail fraud-related charges are 20 years in prison, a $250,000 fine, and forfeiture of criminal proceeds. The maximum term of imprisonment for conspiring to defraud the United States is five years. The maximum term of imprisonment for the money laundering conspiracy and for each of the three concealment money laundering charges is 20 years in prison. The maximum term of imprisonment for each of the seven spending laundering charges is 10 years in prison. Each of the 11 money laundering charge also carries a fine of up to $250,000 or twice the amount laundered and subjects the defendant to forfeiture of all money and property involved in the laundering transaction. Assets of the defendants — including real property, a 2014 Chevrolet Corvette Stingray Convertible, and more than $2.2 million seized from two bank accounts — are subject to civil forfeiture actions filed by the federal government. The following agencies are participating in this investigation: the Federal Bureau of Investigation; U.S. General Services Administration, Office of Inspector General; Department of Veterans Affairs, Office of Inspector General; Department of Defense, Office of the Inspector General, Defense Criminal Investigative Service; U.S. Department of Transportation, Office of Inspector General; U.S. Small Business Administration, Office of Inspector General, Investigations Division; Defense Contract Audit Agency; and the U.S. Army Criminal Investigations Command Major Procurement Fraud Unit. A retired Army colonel whose business company reportedly was used to commit bribery to obtain more than $20 million in government contracts has been charged with conspiracy. A conspiracy charge was lodged Monday, Oct. 2, 2017 in U.S. District Court against Calvin Devear Lawyer that charges him with conspiracy, a crime punishable by up to five years. According to court documents, Lawyer set up a company named Communications, Research, Engineering and Consultant Group before he retired from the Army after 20 years in February 2008. The purpose of the company was to try to win contracts with the U.S. government and private contractors. But the company was used to bribe those responsible for awarding contracts and bid-rigging at Fort Gordon, according to the documents. 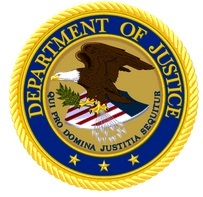 The U.S. Attorney for the Middle District of Georgia has announced that an indictment charging Isaac J. Culver, III, age 47, Lizella, Georgia, Dave Carty, age 48, Macon, Georgia, and their business, Progressive Consulting Technologies, Inc., with conspiracy to commit wire and mail fraud, ten counts of wire fraud, one count of mail fraud, and conspiracy to launder the proceeds of unlawful activity was unsealed on June 14, 2017. The charges against Culver, Carty, and Progressive Consulting Technologies, Inc. stem from the sale of 15,000 Ncomputing devices to the Bibb County School District in 2012. Culver and Carty were arrested and made their initial appearances in the U.S. District Court on June 14th. They were released on $15,000 bond for each man. Each of the charges against Culver, Carty, and Progressive Consulting Technologies, Inc. carry a maximum possible sentence of 20 years imprisonment. The fine on the conspiracy to launder the proceeds of unlawful activity carries a maximum fine of $500,000.00 or twice the value of the property involved in the transaction, whichever is greater. The other charges carry a maximum possible fine of $250,000.00 each. The indictment is only an allegation of criminal conduct. Each person is presumed innocent until and unless proven guilty in a court of law. This case was investigated by the Federal Bureau of Investigation and Internal Revenue Service. An indictment returned by a federal grand jury accuses a Fort Gordon active-duty Army colonel, his wife and a former defense contractor employee of rigging bids to defraud the government of more than $20 million. The indictment accuses Anthony Tyrone Roper, 55, Audra Roper, 49, and Dwayne Oswald Fulton, 58, of taking part in a bribery and kickback scheme from 2008. Col. Roper, his wife and others are accused of soliciting and accepting cash bribes in exchange for rigging the award of Army contracts. The indictment further alleges that in an attempt to hide their bribery and fraud schemes, the Ropers and Fulton attempted to obstruct an official investigation into their criminal conduct.